"Diversity" has become the turn-of-the-century buzzword. Republican and Democratic leaders ritually chant "diversity is our strength" and corporate CEOs talk about the need to create a "workforce that looks like America." Most corporate mission statements now contain a clause on "valuing differences" and millions of employees have completed-or soon will undergo-some sort of "diversity training." Where did all this come from -and why? Who created diversity programs? How do they differ? How effective are these policies? Can they do more harm than good in organizations and in the wider society?During the past decade, sociologist Frederick R. Lynch studied the rise of a social policy movement that has successfully moved multiculturalism from universities and foundations into the courts, mass media, and the American workplace. The new diversity policies are future-oriented and market-driven, eclipsing "old" affirmative action debates about overcoming past discrimination against blacks.Based on more than six years of field research and hundreds of interviews, Lynch tracks the development and impact of different forms of diversity policies at dozens of consultant gatherings, in the business and professional literature and through in-depth case studies such as the Los Angeles Sheriff's Department and the University of Michigan, Ann Arbor. 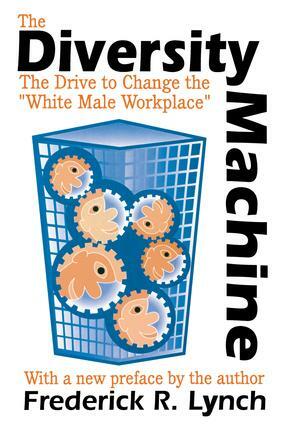 He profiles the major consultants who have powered the diversity machine, analyzes the benefits and drawbacks of various approaches to workplace diversity and provides numerous "you-are-there" samples of workshops, seminars, and conferences.The book is written for the general reader interested in public-policy issues, social scientists, and others interested in the origins and consequences of workplace diversity policies.